It’s been a while since I wrote here. I’ve been busy giving finishing touches to the first 50 pages of my novel. I’ll be entering my manuscript (only 50 pages) in a competition run by the Canadian Aid Charity and the BookLand Press. Re-writing 50 pages is no joke, and I don’t even know whether it is any good. But I’m determined to participate. I figure I’ve nothing to lose. The worst that can happen is that the organisers may reject my manuscript. That wouldn’t be unusual. I’m reinventing my writing career in Canada. And the last year or so has been interesting and enriching. Rejections and acceptances are part of this process. After I came here, I spent the first six to seven months in Canada without having to write. Now, I’ve never thought of myself as a great writer or even a good one, but I’ve been writing for a living for a larger part of the last two decades. So, when I didn’t have anything to write after I came here, I wrote a short story to enter into a competition that would’ve paid for a writing course. I must thank Susan Crangle, a communications professional, who edited the story and gave me key inputs. I didn’t win the competition. But learnt a few things from her. In May, I entered the same story – with a few more re-writes and edits (this time Mahrukh helped me) and sent it to Diaspora Dialogues, an institution that is doing impressive work in enabling newcomers express themselves creatively. I was selected for the mentoring program where I’d be working with an established writer to improve my short story. I’ll write about that in more details when the program concludes. See my profile here. Then Joyce Wayne nominated me to participate at the Humber School of Writers’ Summer Workshop. There I got acquainted with the suave Antanas Sileika, who runs the program at Humber. A few writers, poets and playwrights from Diaspora Dialogues met last week at Central cafe in Mirvish Village. One of the participants – Michael Fraser – organises poetry readings here. He calls it the Plasticine Poetry Series. We had a great time. I requested Jasmine D’Costa, author of the critically-acclaimed Curry is Thicker than Water, who was also there at the readings, to join us and give us publishing tips. I met Dawn Promislow and subsequently read her a couple of her short stories. Last year’s winner Jason Rapczynski read from his novel The Videographer. Several veteran participants from earlier competitions narrated their experiences, of sleep deprivation, generally losing control and doing silly things. The contest began in 1977 in a Vancouver pub when a few crazy writers decided to emulate Jack Kerouac and complete writing a novel over a weekend. Apparently, Voltaire wrote Candide also in three days. The tradition is now an established literary event and this Labour Day weekend, many writers from across the world will try to complete a novel in three days. This is an international event. So, anyone anywhere can participate. I know of at least two people in India who should participate. They know that I know who they are, so I won't name them. I’m going to participate and write another novel because the basic rule of the 3-Day novel contest is that you have to start and finish a novel between September 5 and September 7. I can't continue writing the one that I'm already writing. India's Bharatiya Janata Party (BJP) has expelled Jaswant Singh, its veteran leader and India’s former minister for external affairs. Singh played a key role in shaping India's relations with the United States in the 1990s. The party is upset with Singh because he wrote a scholarly treatise on Mohammed Ali Jinnah. 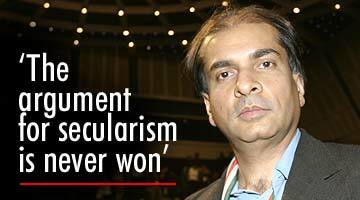 Jinnah is a taboo subject for the BJP and also for the Indian establishment. LK Advani had to relinquish the part chief's post after he said what everyone knows to be true – Jinnah was at one time a secular politician and a champion of Hindu-Muslim unity in India. 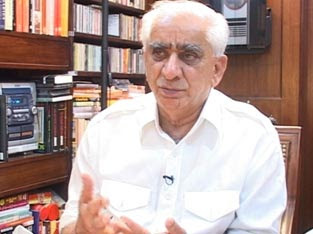 Jaswant Singh’s point of view that the Congress leaders, especially Nehru and Patel, were as responsible for the vivisection of the Indian subcontinent and the creation of Pakistan as Jinnah, has unleashed a storm within his party and the Congress. Singh’s views don’t constitute a new interpretation of history. Eminent historians of Pakistani origins – notably Ayesha Jalal (The Sole Spokesman) and Akbar S. Ahmed (Jinnah, Pakistan and Islamic identity: The Search for Saladin) – have consistently maintained that had the Congress leaders been more accommodative of Jinnah’s justifiable demands, the history of the subcontinent would’ve been different. Pakistan may have largely forgotten Jinnah and his secular legacy rather expeditiously after his demise, but he remains a potent force in India. Indians cannot forget Jinnah. More than six decades after the Partition and the creation of Pakistan, Jinnah continues to divide Indians. Jaswant Singh isn’t the first and definitely not the last to write about Jinnah. In the last six decades, tomes have been written about Pakistan’s creator in India. Most of them have been polemical (and very readable) opinions that hold Jinnah responsible for the Partition – for instance, Arun Shourie’s famous three-part series for The Illustrated Weekly of India, and Rafiq Zakaria’s The Man Who Divided India. Some (as polemical) argue the other view. 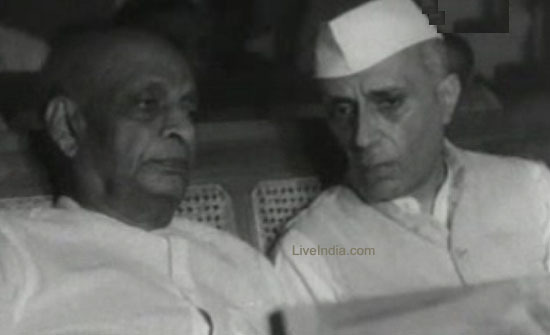 HM Seervai's Partition of India – Legend and Reality is a brilliant example. Seervai argues as a solicitor and tries to prove that the Congress was responsbile for the Partition. I still remember Rajdeep Sardesai’s anguished review of Seervai’s book in the Sunday Times of India. The main argument of Singh’s book cannot be too different from Seervai’s book that was written about two decades ago. I must confess, I haven’t read Singh’s book (an unfortunate aspect of immigration is not be able to access books published in India). But if it has riled Narendra Modi enough to ban it in Gujarat, it has to be good. Also, the hysteria in India over Jinnah reveals a mentality that shuns historical inquiry and a preference for blind prejudice. Stanley Wolpert’s Jinnah, incidentally, is a brief, readable (non-partisan, non-polemical) biography of the creator of Pakistan. In this essay, I propose to discuss two themes that are common in VS Naipual’s A Bend in the River and Arundhati Roy’s The God of Small Things. The first theme is the river. There is a definite centrality of the river to the novels. In both the novels, the presence of the river is almost as important as the characters. The river plays a pivotal role in shaping the stories and in reflecting – physically and metaphorically – the changes in the lives and fortunes of the characters. The second theme is masks. Both the novels use the metaphor of masks to depict transition from colonialism to postcolonial society. In Naipaul’s novel, the reference is direct though subtle. In Roy’s novel, it is indirect but obvious. In Naipual’s novel, the unnamed river’s physicality is central to the novel. It is important because it provides the main link to the outside world for the town located on a bend in the river. For Salim, the river ultimately is the escape route to a different world. Not necessarily a better world, but one in which he will be able to live. Metaphorically, for Africa, the river reflects the changes in the composition and complexion of its leaders. In Roy’s novel, the Meenachal reflects the changes that periodically come over the central characters of the story. The Meenachal is the cause of Sophie’s drowning, and I would even say Velutha’s death. The river often reflects the chaos and sometimes the ambiguity in the lives of the people who populate the novel. There are several references to the river in Naipaul’s novel, which remains unnamed. The river manifests the changes that occur in the geography of the land. I will focus on the last reference to the river, when Salim escapes from the town. It is in this reference that the ultimate relevance of the river to Naipaul novel (and his worldview) becomes clear. This is the physicality of the world that Salim is escaping. But there is a metaphorical dimension to the escape described later that is at once breathtaking and poignant. Similarly, the Meenachal in The God of Small Things shapes the destiny of the twins Rahel and Estha when it causes Sophie’s death by drowning. The river leads to the denouement in Velutha’s destiny, too. In Roy’s novel, the river reflects the changes in the characters. As in Naipaul’s novel, in Roy’s novel there is the sheer physical dimension to the river. Then, there is the metaphorical longing that reveals Roy’s true artistic preoccupation. In both the novels, masks are used to reflect the changes in the society. In Naipaul’s novel, the references are real. Naipaul uses the metaphor of the masks to depict the changes that gradually occur in the country. The subtlety with which Naipaul describes the changing ownership of masks – from European to African – indicates the true conflicts of the transition from colonialism to postcolonial era. With Naipaul, the physical is also the metaphorical. And, of course, the metaphorical has a cutting-edge physical quality to it. Roy uses the masks indirectly. With her, even when the reference is indirect, it is still never subtle. She elaborately describes the Kathalaki dance sequence. The changes in the postcolonial society that grapples with economic development, social equality, and political rights always give rise to conflict between that which refuses to die and that which is struggling to be born. Roy uses the Kathakali dancer to depict this change in Kerala. It’s simply masterful. In conclusion, I want to emphasise that these novels work at several levels and layers. They use many allusions and metaphors. I have focused on the river and the mask because I found them common to both the novels. It’s 12 years since Salman Rushdie wrote his controversial analyses of Indian writing in English for The New Yorker. A dozen years later, Rushdie’s statement doesn’t seem controversial. With the emergence of writers of the calibre of Manil Suri, Kiran Nagarkar and Mukul Kesvan to name just three that Rushdie doesn’t mention in his essay, and the flourishing creativity of the two Vikrams – Seth and Chandra and Amitav Ghosh that Rushdie mentions, proves beyond doubt his trend-spotting sagacity. There were howls of protests. I also want to mention a personal favourite – Shantaram by Gregory David Roberts here because it pushes the envelope in areas that were unknown hitherto in the Indian context. Many would disagree with Roberts’ (an Australian) inclusion in an Indian context, but I argue that what Rushdie says about Indian writing in English should also encompass writings in Indian setting. HRF Keating’s A Perfect Murder (made into a fabulous film by the Merchant-Ivory team) was a sort of a precursor of a trend that will see many followers; Shantaram won’t be the last. Equally important – though often not adequately credited – is the contribution to the non-fiction genre. Suketu Mehta’s Maximum City (2005) – a book about Mumbai – is a remarkable example. Such books dealing with the enormous and fast changes in the Indian society are inconceivable in Indian languages. This is creative non-fiction at its genre-bending, path-breaking best. Another important contribution, though of middling creative, literary and academic merit, is the retelling of Ramayana, the classic Indian epic by Ashok Banker. In defending Rushdie’s claim and vision, one doesn’t in any manner belittle the enormously important creative output produced in the official languages of India. In retrospect, the anti-Hindi agitation in South India in the 1960s has proven to be a boon for India. The software revolution wouldn’t have taken off – and neither would have the Indian economy kept pace with the much larger Chinese economy – had it not been for English’s supremacy in India today. As with any society in transition, especially a post-colonial society, India has a ruling class (which also happens to be a caste) that is completely dependent upon the English language for its “superior” status. Demographically, in the medium term there will be a phenomenal growth in literacy levels of the number of people using vernacular languages. In the long term, however, users of English language will outnumber those of other languages. This is illustrated by the fact that almost everyone who can afford to send their children to school prefer English medium schools. Rushdie suitably illustrates this in the essay when he talks about the province of West Bengal (ruled since the late 1970s by the communists) prohibiting English medium education in schools. In conclusion, it must be admitted that even if Rushdie’s contention that English is the future of India may seems unacceptable, it is true and based on reality as it has emerged in India in the last decade. 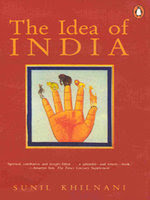 The question is whether what Rushdie described is unique to India or is true for all post-colonial societies. It would be fair to say that it is true for all societies in transition – even for China where for the present Mandarin dominates. It was only after I started living in Toronto did I realise the romance of streetcars. As frequently as we can, Che, Mahrukh and I take a trip from Queen Street to Long Branch in a streetcar. It doesn’t matter if the insides of the streetcar feel like a cauldron on a hot, burning stove in summer. Summer in Toronto, incidentally, is sometimes hotter and more humid than in Mumbai. I’ll write about the summer some other time. It’s about streetcars today. Today’s email alert from The New York Times has a brief review of A Streetcar Named Desire (the classic movie based on Tennessee Williams’ play). The movie, of course, is remembered for Marlon Brando’s performance. In Williams’ play, the centre-stage belongs to Blanche DuBois (enacted by Vivien Leigh in the film). It’s a character that is at once independent, and yet so dependent, so fragile. It’s a line has acquired an iconic status in popular culture (try Googling it and see the astounding results!). A personal anecdote. Last year, when I was writing email messages to just about everybody in Canada who I thought may help me, I also wrote to Nick Noorani (originally from Mumbai), the publisher of Canadian Immigrant. To his credit, Nick was among the few people who responded immediately to my message. However, nothing came out of that initial exchange. Then I met Gavin Barrett (also from Mumbai) and told him about the exchange of emails with Nick. Gavin suggested I should write again to Nick. I wrote a thank you note to Nick, referring to our earlier exchange and quoted the ‘depending on strangers to help’ line from Williams’ play. This time Nick not only responded, he even telephoned and spoke to me. The power of Tennessee Williams or the good nature of Nick Noorani? Or Both? A Streetcar Named Desire is a classic. If you’re not a reader, hire a DVD of the 1951 movie. It’ll be a time well spent. 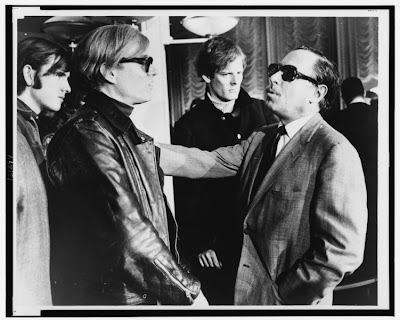 Image: Andy Warhol (left) and Tennessee Williams (right) talking on the S.S. France, in the background: Paul Morrissey. World Journal Tribune photo by James Kavallines. For an immigrant, dates acquire a special meaning (dates in a calendar, not dalliances). This will be the second Independence Day outside India for me. Although, I don’t really feel that I’m actually out of India. In my building I don’t feel like I’m in Toronto. I feel like I’m in south Gujarat between Navsari and Vapi. However, leaving India provides a perspective about India. I'm reminded of Sunil Khilnani's Idea of India. It's a slim, solid and an interesting introduction to India; a brilliant treatise on the Nehruvian ideals that shaped India in the years immediately after the Independence and the Partition. The book encapsulates all the big and small ideas that made India into a functioning democracy (although for many reasons it still fits John Kenneth Galbraith’s description of functioning anarchy), and sketches short profiles of all the people who made the transition from colonial rule to a robust democracy possible. The one that stands out in the book is of PC Mahalanobis, the statistician who was persuaded by Nehru to be a member of the Planning Commission and then went on to form the National Sample Survey Organisation (NSSO). 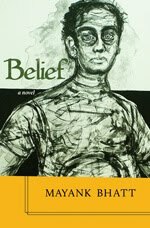 The book provides an insight into why Nehru insisted on making India a secular democracy and not a theocratic state. All nations have nation builders. What many nations lack are good historians. Haroon Siddiqui's column in today's Toronto Star on Bill Davis is illustrates this point. As a new immigrant, coming to terms with new realities of a new land and new people, one is so engrossed in the here and now that the need to understanding history takes a back seat. That is why Siddiqui's column is important for someone like me. I got to know of Davis, who was the second longest serving premier of Ontario and helped changed Canada into a multicultural nation that it has become. The month after the onset of the monsoon (Bhadrapad) marks the beginning of the Ganesh festival in Mumbai. 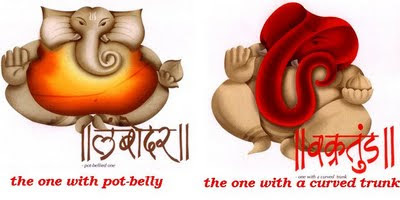 August 23 is Ganesh Chaturthi this year. The earlier month -- Shravan -- is also a month of religious festivities. August 5 is Raksha Bandhan, August 14 is Krishna Janmasthami. August 21 is the first day of Ramadan. If you’ve spent even a day in India, you realise that religion forms an integral part of people’s existence. The over-arching reach of religion is so all encompassing that it doesn’t even leave the non-believer alone. And I don’t mean organised religion by this. It’s the lone believer who remains steadfastly devoted in her belief of the all mighty that really moves the proverbial mountains. In India secularism is not a separation between the state and religion (as it was originally propounded in Europe), but a celebration of all religions by the state. Multicultural Canada is no different. In fact, it's vastly more enriching and varied in its celebration of different cultures and religions. Is it any wonder South Asian in general and Indians in particular take to Canada as duck to water? Ganesh, the God of knowledge (and I should say the first journalist – he reported and interpreted the Mahabharata as Vyas, the creator of the Mahabharata, narrated the epic), is the presiding deity of Mumbai. I’ve often wondered why or rather how this has come about? Mumbai is the city of gold, and justifiably, the city worships the Goddess of wealth Lakshmi in all its forms. But it reserves its passion and fervour for the god with an elephant’s head. There’s history, of course. And if you’re interested, take a look at one of my earlier journalistic pieces I wrote for my newspaper The Daily (when Rajat Sharma was its editor). Click here for a feature on Lokmanya Tilak and the Ganesh festival.